Sharr was built by CFTO from the ground up. 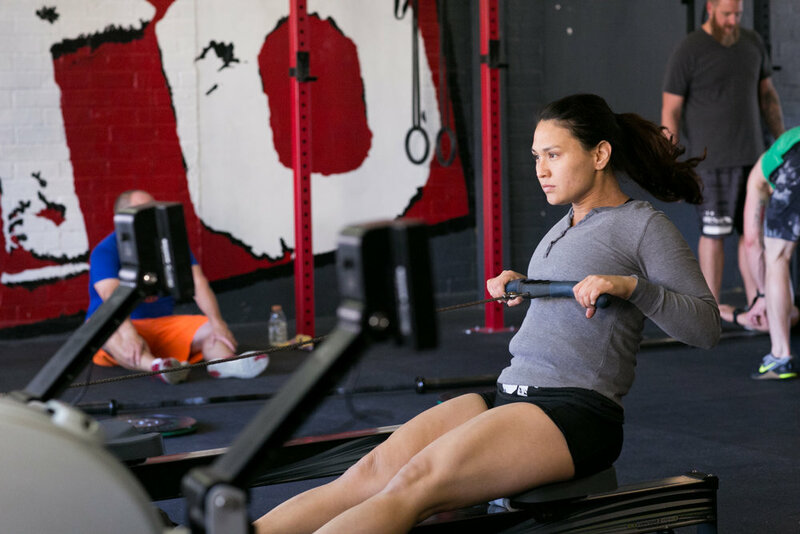 One to always want to try everything, Sharr started CrossFit wanting to master all of it and then move on to something else. Little did she know that what was in store for her would not only challenge her in new ways everyday, but also make her fall in love with helping newcomers get involved with fitness. Sharr found herself in the gym more and more, not only working on her own fitness, but helping out behind the desk and helping new members find their footing. Making her an official part of the CFTO staff was a no-brainer and she flourished as the Office Administrator before taking on Coaching and Intro Sessions. Sharr brings an energy to her classes that cannot be found anywhere else. Her passion for newcomers shows in all of her teaching and most of CFTO’s members can attribute their understanding of movement to her tutelage. Coach Sharr is the very definition of what CFTO stands for: fitness for everyone, no matter what.